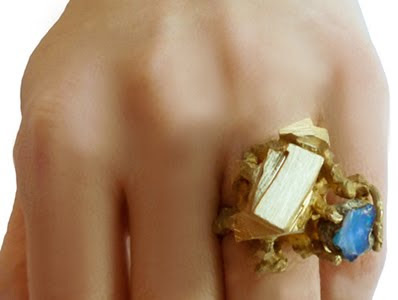 I don't think I've seen such an interesting way of juxtaposing materials in a long time. 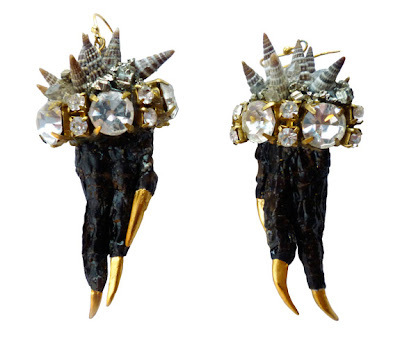 Emily Miranda uses shells, crystal, pearls, a variety of metals and ew, FEET, to make all manner of macabre, attention-grabbing accoutrements. 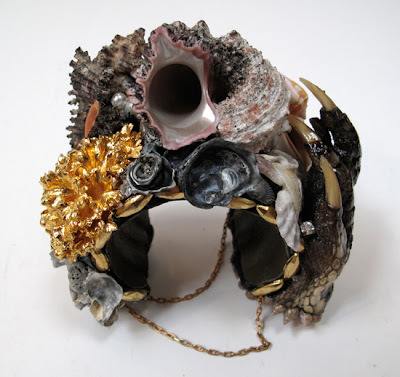 I'm simultaneously attracted to and repulsed by the bracelet above, which throws together shells, rhinestones, pearls, leather, gold leaf, gold chain and icky alligator feet in a haphazard but somehow quite desriable way. 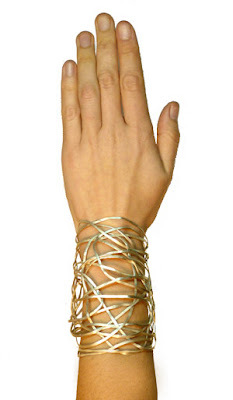 But if it's freaking me out to look at it on my computer screen, then just imagine how much creepier it will be wrapped around my wrist. Like hanging out, or even holding hands, with Thing from the Addams Family (side Wikipedia trivia: Thing's full name is Thing T. Thing. How droll.) 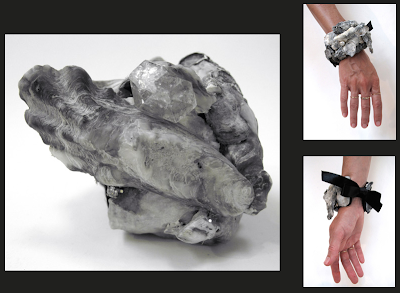 Anyway, good thing this disembodied claw cuff is prohibitively expensive at US$1600. 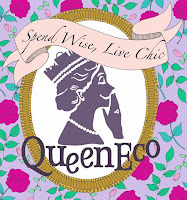 Maybe it would have been cheaper if they hadn't hired Jessica Stam to be their HAND MODEL. There's not even a single shot of her gorgeous face, just a credit on every single page that says "as modelled by Jessica Stam". Haha, maybe it's not even THAT Stam. AHHH I just looked at the earrings below the cut again and they're really strating to scare me. The other more vanilla stuff is just as pretty though.